This premium case (Now hand stitched with waxed linen) is made of Genuine Top Grain USA 4.5oz Cowhide which gains character and style with use. It has plenty of room for the 5" Folding Firebox Campfire Stove, including all of the available accessory plates. You can even add the 6x6" or 6x12" Carbon Felt Pad which fits snugly but is totally doable. 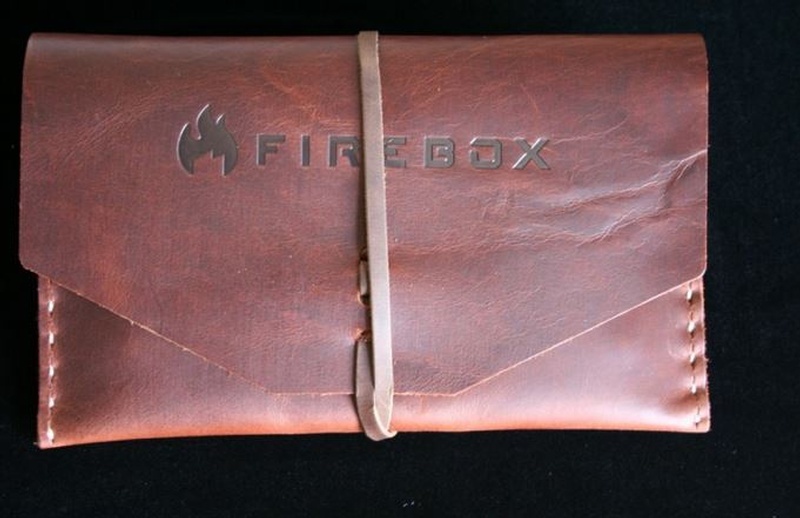 Purchase through PayPal by using the "Add To Cart" button above or use the form below to order the Firebox Stove Top Grain Leather case for 5in Firebox . Feel free to contact us if you have any questions about the Firebox Stove Top Grain Leather case for 5in Firebox .